I have received a lot of questions concerning my last article about the discoveries and their relevance to biblical prophecy. It seems there is enough interest in that subject for me to deal with it in the present article. In the next article I will share with you the interview with an eye witness of the earthquake in 1948 that revealed Noah’s Ark for the first time in thousands of years. I’ll also share with you what the light looked like and when the eye witness said it disappeared. You won’t want to miss that article. 3. Red Sea Crossing Site. The Bible says that the Israelite deliverance through the Red Sea and the associated events are "ensamples" for those people "upon whom the ends of the world are come." See 1 Corinthians 10:1,2,11. Also, the Exodus deliverance from Egypt was so similar to the coming deliverance of those who choose God’s way at the time of the end, that their song of triumph is called, "the song of Moses and the Lamb." See Revelation 15:3. 4. Mount Sinai. Likewise, a biblical prophecy links this event to the return of Jesus at which time the heavens shall be shaken; "Whose voice then shook the earth: but now he hath promised, saying, Yet this once more I shake not the earth only, but also heaven." See Hebrews 12:18-21, 26. Compare with Joel 3:16; Haggai 2:6,7; Matthew 24:29, 30; Revelation 6:14. 5. Ark of the Covenant. Along with Jesus’ burial and crucifixion sites and His actual blood on the mercy seat, they are all part of the same discovery. One source states that the Ark will be brought out when Israel is regathered and the glory-cloud appears(Life of Jeremiah, 11-19). Still another work says that the "holy vessels of the worship-service" will reappear only at the time of Israel’s regathering (Paralipomena of Jeremiah, 3:5-19). There is also the claim that Jeremiah was told by God to bury the Temple vessels "until the coming of the Beloved One." An allusion to the end times(4 Baruch). And finally, it has been held by ancient rabbis that the Ark would be found at the coming of the Messiah. 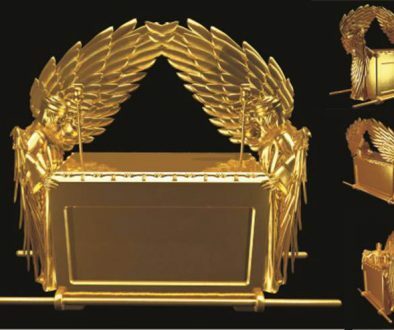 We could say that the Ark of the Covenant was to be a place to keep evidence of the past workings of God for the future. In the wilderness, shortly after their deliverance from Egypt, God told Moses to place a pot of manna with the Ark to be "kept for your generations." It was placed there to be preserved for a later time when it would be used as a testimony of how God provided for them in the wilderness. See Exodus 16:32-34. God instructed Moses to place Aaron’s rod with the Ark to be preserved as evidence or testimony "against rebels. See Numbers 17:1-11. There are some who believe that the Mark of the Beast will be the worlds attempt to enforce laws contrary to God’s law and God’s faithful are described as those who keep the "commandments of God and have the testimony of Jesus." See Revelation 13:16,17 and 14:12. I believe that when the time comes that "spiritual laws" are being debated and about to become the law of the land, the tablets of God’s Ten Commandments written with His own finger, will come out as a witness to the world of His law. DISCOVERIES NOT TO BE WORSHIPPED! So there you have a brief description of the link between Bible Prophecy and the discoveries. I believe that these discoveries are not there to be worshipped but they are there to be used to show that the Bible is true and can be trusted. They help build hope. They help build faith and they boost our confidence to face the future because we can see physical evidence of how God has led in the past. We live in a time when many people simply don’t believe that these past interventions by God really happened and we have arrived at the point in history just before the greatest intervention of all. So I believe God has provided the world a fantastic show-and-tell which will give each person an opportunity to know the truth. He is bringing out the evidence He has been keeping safe for thousands of years for just such a time as this! A SIGN OF THE END OF TIME? Could these discoveries be considered a sign that the end of time as we know it is fast approaching? I believe so. 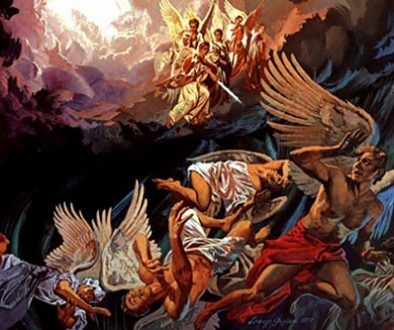 It is a very serious warning from God that time is running out. It is a call from God for us to get our act together and that we need do it very quickly. YOU DON’T WANT TO MISS THE NEXT ARTICLE! Don’t forget, in the next article I will share with you the interview with an eye witness of the earthquake in 1948 that revealed Noah’s Ark for the very first time in thousands of years. I’ll also share with you what the light looked like and when the eye witness said it disappeared. You don’t want to miss that article. 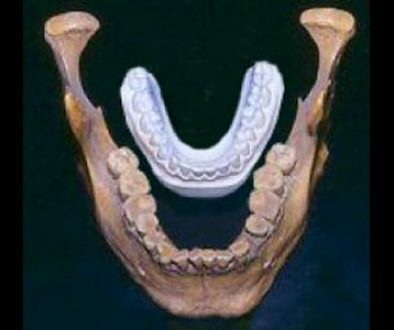 Please take "A Closer Look" at the discoveries for yourselves. Everything you need to know is located within the Anchor Stones web site. You won’t be dissapointed.